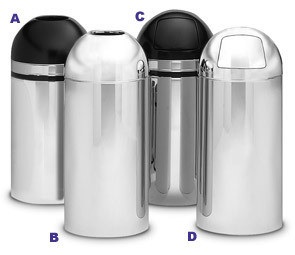 These dome top trash cans are incredibly durable while offering a designer upscale look. Perfectly suited for environment such as coffee shops, executive office and hotel lobbies. Made from fire safe steel that is puncture resistant and they also meet all requirement for ADA compliance.